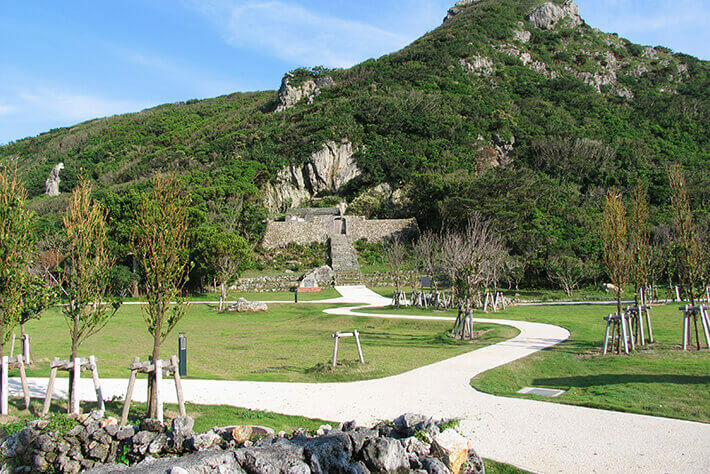 Located to the northwest of the main island of Okinawa, approximately 55 minutes by ferry from Unten Port in Nakijin Village, Izena Island is known for its eternal history and legend. Covered with fields that spread along the skirts of the mountains and Ryukyu pine trees, the beautiful Izena Island is part of a group of four islands that also includes three uninhabited islands: Urugami Island, where the gods are said to have descended, Gushikawa Island, an abandoned island now in ruins, and Yanaha Island. As the birthplace of the Ryukyuan King Sho En, who ascended from the status of farmer, the island has a deep bond with the Ryukyu Dynasty, adding to the island the charm of history. Visit the historic sites, or take a leisurely stroll through the village and the beach. You’ll surely find how to spend your time in a way that best suits your needs. 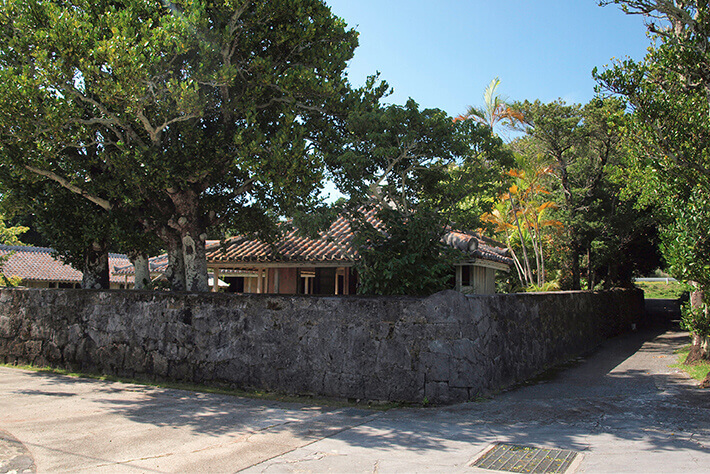 Coral Masonry and Fukugi Trees: An Island Where the Original Scenery of Okinawa Still Remains. In Okinawa, limestone walls made from coral were once quite prevalent, but as they are easily settled in by venomous vipers (habu), concrete walls are commonly used today. 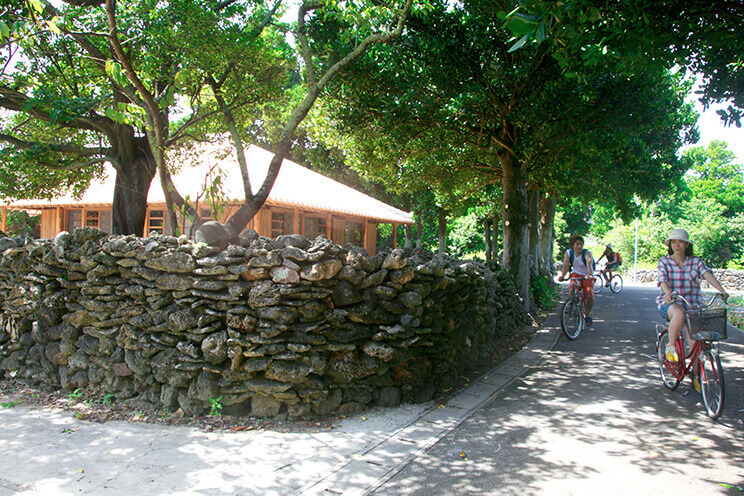 Because Izena Island is not inhabited by habu, it is possible to see beautiful, handmade limestone walls when strolling through the village to this day.Built not only around the houses, limestone walls also enclose the fields and are often accompanied by fukugi trees that serve as protection from wind and fire, allowing you to slip into the past and experience Okinawa as it once was. 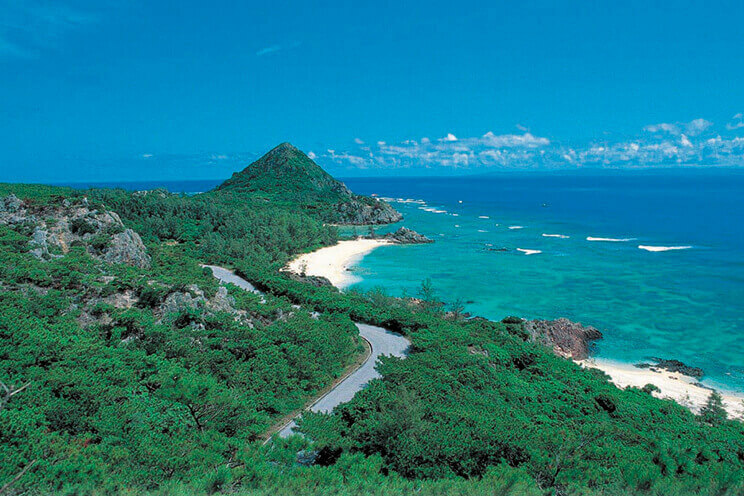 On the southern end of the island, the area from Gusuku Mountain to Umi Gitara is known as Futamigaura Beach. 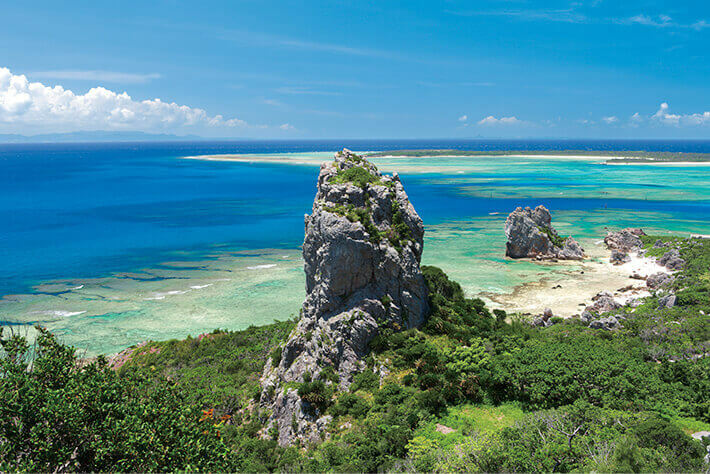 Looking out from the observation deck you can enjoy a panoramic view that includes Gusuku Mountain, where Izena Castle once stood, the gigantic rock formations Umi Gitara and Agi Gitara, and Yanaha Island. Depending on the time of day and location of the sun in the sky, the blue gradation of the sea changes color in a scene of breathtaking beauty that you’ll never tire of, serving as one of the most spectacular views that Izena Island has to offer. 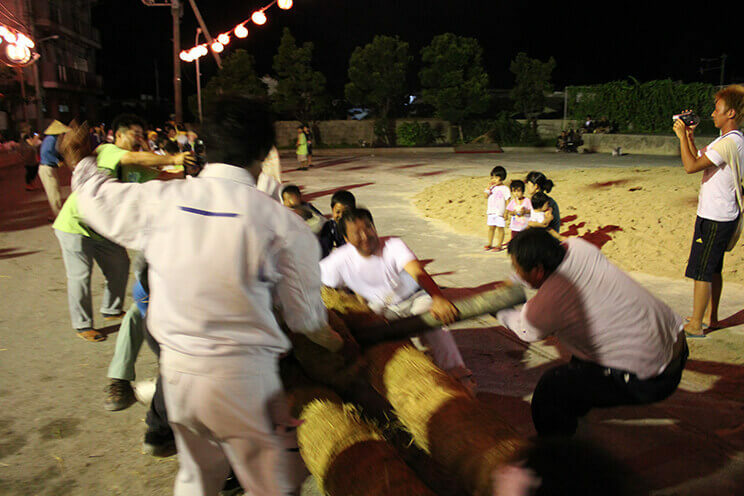 Powerful, Traditional Tug-Of War, Where Tourists Can Also Participate. On Izena Island, where rice cultivation is practiced, a traditional festival known as “Unnaa” is held every summer to pray for a bountiful harvest. Every year, the festival is held in the four villages during the month of June on the lunar calendar, with great emphasis on the tug-of-war. Each village is divided into two teams, either East versus West or North versus South. All are welcome to participate, so tourists and locals alike can enjoy the event together. During “Unnaa”, there are other events such as “Sunai”, where opponents try to knock each other off a platform, Okinawa sumo competitions, and various other events being held throughout the night, allowing tourists and locals to pray for a bountiful harvest together. *You can check out the ferry information here.